Drum Corps International is pleased to announce the addition of two Premier Events to its 2008 DCI Summer Tour schedule. Additionally, a location has been confirmed for the July 12 event in Orlando, Fla. A Monday, July 7 tour stop in Louisville, Ky., will feature a lineup of nine corps including the Bluecoats and Cavaliers. The event will take place at the University of Louisville which has been home to Drum Corps International events over the past several years. 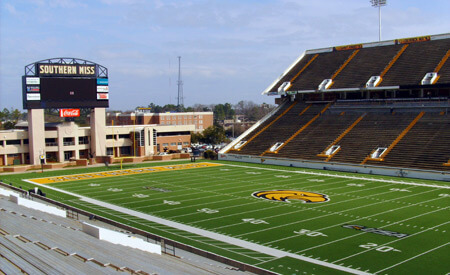 A brand new event at the University of Southern Mississippi in Hattiesburg scheduled for Tuesday, July 22, will feature eight corps including the Blue Devils, Phantom Regiment and Carolina Crown. "With more than 130 educational and competitive events scheduled for 2008, these two new events will serve as key locations for corps as they travel more than 10,000 miles across North America," said Sue Kuehnhold, senior manager of tour and special events for Drum Corps International. Also added to the '08 schedule is the location for the Saturday, July 12 event in Orlando, Fla. A four-time World Championships location, the Orlando Citrus Bowl will host the first DCI Premier Event in the stadium since 2005. This year, Drum Corps International will present 14 Premier Events across the country, in addition to the 2008 DCI World Championships this August. Drum Corps International's Premier Events are a collection of some of the leading stops on the annual DCI Summer Tour. They are generally produced in larger, collegiate and professional sports stadium facilities on key weekends, to the delight of some of the biggest crowds of the season. Audiences at 2007 Premier Events exceeded 75,000 fans. View all events on the 2008 Drum Corps International Summer Tour.